With the advent of modern technology children’s toys have evolved rapidly over the past few decades to reflect the modern needs and tastes of children and parents alike. Technology has progressed rapidly to offer new and advanced toys for children of all ages. Nowadays it is commonplace for little ones to spend a large proportion of their 'free time' playing with electronic games and devices. Nonetheless traditional toys such as teddy bears remain hugely popular and will always hold a special place especially with young children, after all you can't cuddle your XBox One if you're feeling scared of the dark! Trends change to meet new demands but old-fashioned bears will always remain the perfect playthings (and gift idea) for little ones. Teddy bears of all shapes and sizes are still incredibly popular presents for Christenings, birthdays, Christmas, Valentine’s Day and other special occasions. 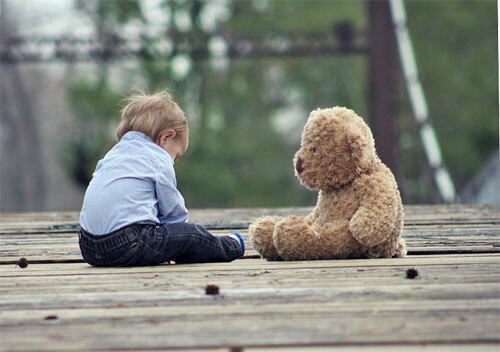 Teddy bears have been popular stuffed toys in many countries since the 1900’s. 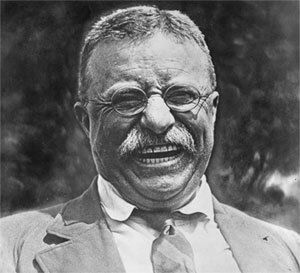 The name ‘teddy bear’ originates from America when the then President of the United States, Theodore Roosevelt, refused to kill a bear! In 1902 several hunters were competing in a bear hunting trip in which an American Black Bear was cornered, clubbed and tied to a willow tree after being chased by hounds. Roosevelt was directed to shoot the animal but he declined, claiming it was unsportsmanlike. This spawned various political cartoons to be published and the drawings inspired a man called Morris Michtom to invent the teddy bear. He created the soft stuffed toy, sought permission from Roosevelt to use the name, and started to sell the innovation in his shop. 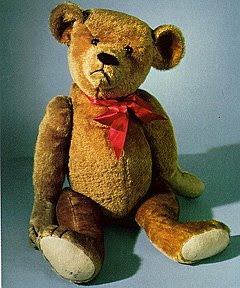 But unknown to Michtom, at the same time the firm Steiff in Germany had produced a stuffed bear and exhibited the toy at the Leipzig Toy Fair in March 1903. 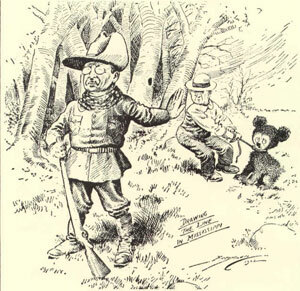 By 1906 further manufacturers joined in the craze of ‘Roosevelt bears’ and the President even used the toy as a mascot in his White House campaign. By this time in history, children across the world were photographed with them and women carried them everywhere. Early teddy bears looked like real bears with beady eyes and snouts but the style has changed over time to make them more ‘baby like’ and cute to attract consumers. The world's first teddy bear museum was opened in Petersfield, Hampshire, England in 1984, it closed in 2006. 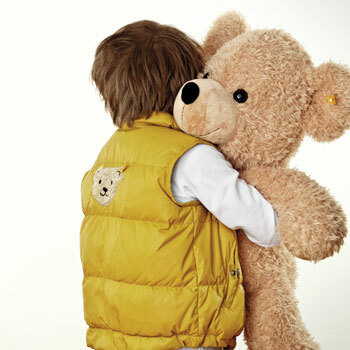 Steiff is the most famous teddy bear manufacturer on an international level. Founded in Germany in 1880 by Margarete Steiff, the company is renowned for their extremely high quality, high-end soft toys. Steiff teddy bears are popular gift ideas for special occasions such as Christenings and births. Gund is a popular teddy bear manufacturer founded by Adolph Gund in 1898 and it is one of the oldest manufacturers of plush toys in the United States. Gund teddies and other soft toys from this US brand make ideal baby gift ideas. Hermann Teddy Original is the second oldest teddy bear manufacturer in Germany. Founded in 1912, the family business is still popular in present day. Electronic toys and devices are obviously hugely attractive to children; however never rule out the power of a traditional toy such as a teddy bear. Soft toys and in particular teddies continue to amaze and delight young children today as much as ever and they make the ideal 'go-to' gift for a child's special occasion. Here at Born Gifted we have a super collection of traditional teddy bears from quality brands from around the world.